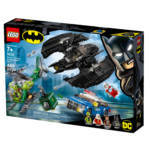 • Batwing toy measures over 1” (5cm) high, 6” (17cm) long and 7” (19cm) wide. 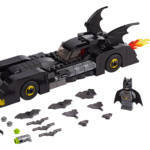 • Police car measures over 1” (4cm) high, 5” (14cm) long and 1” (5cm) wide. 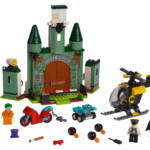 • Helicopter measures over 3” (8cm) high, 7” (20cm) long and 1” (4cm) wide. 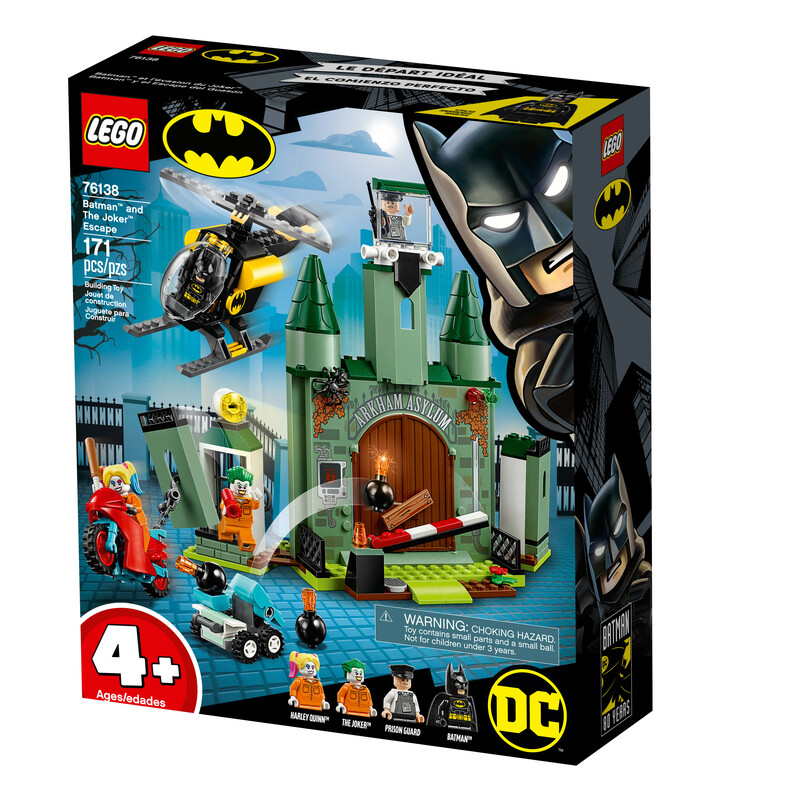 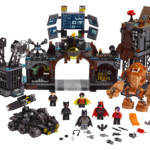 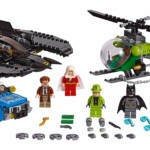 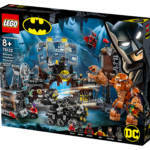 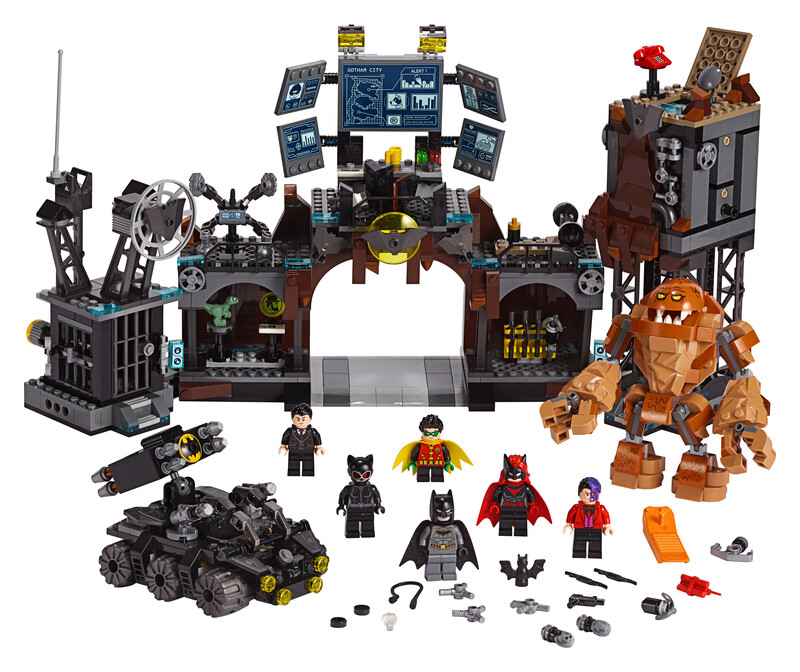 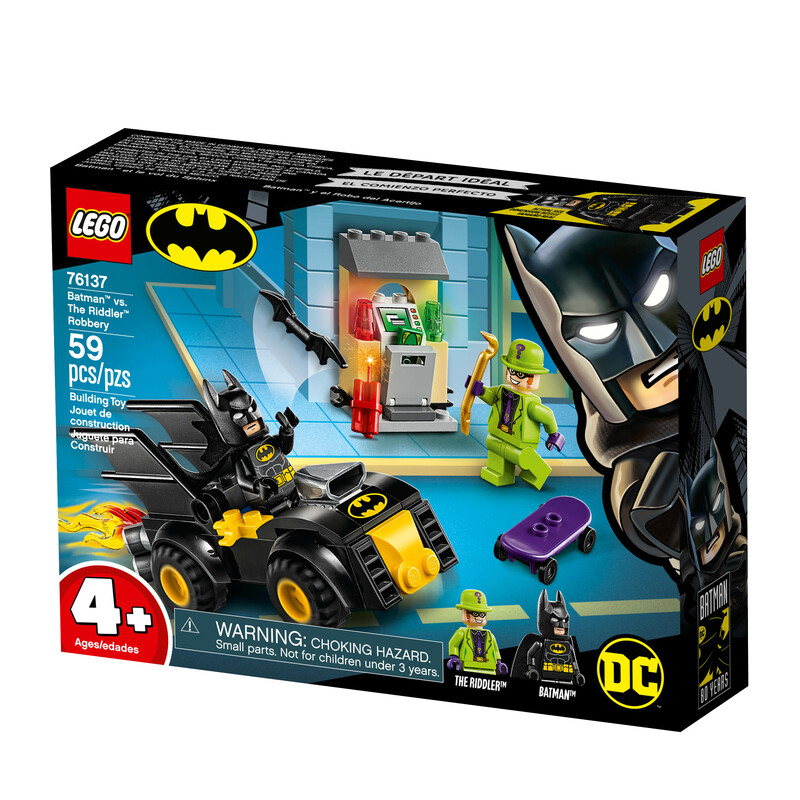 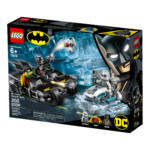 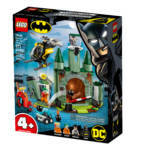 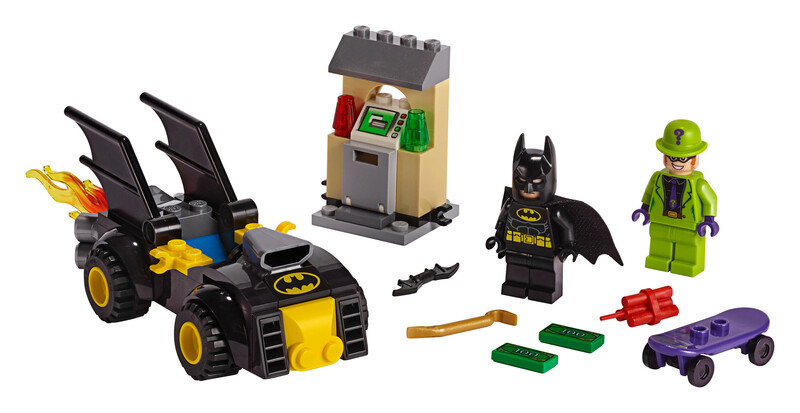 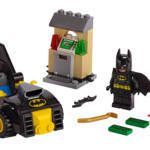 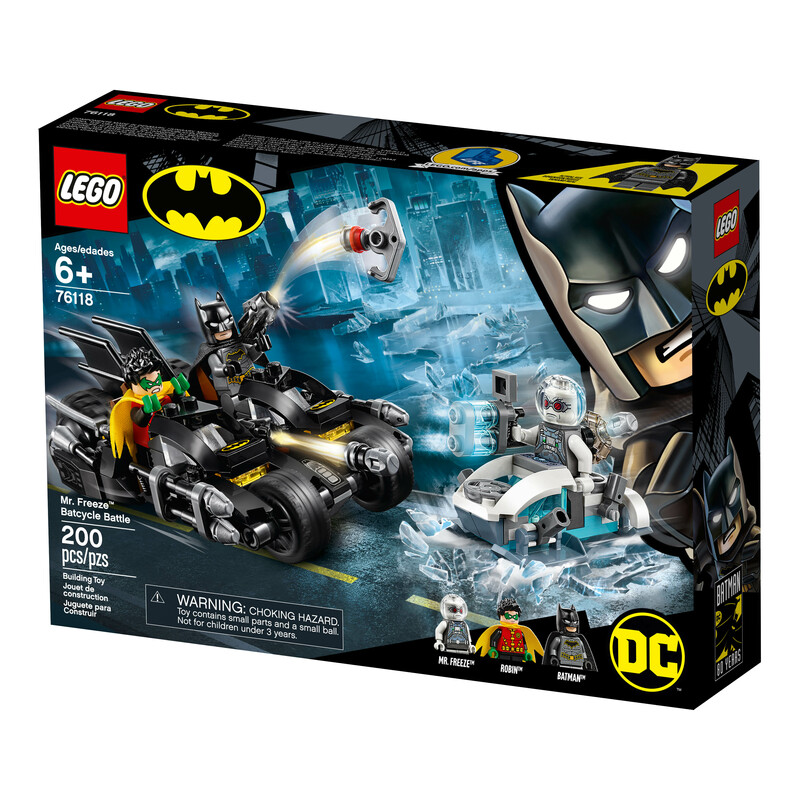 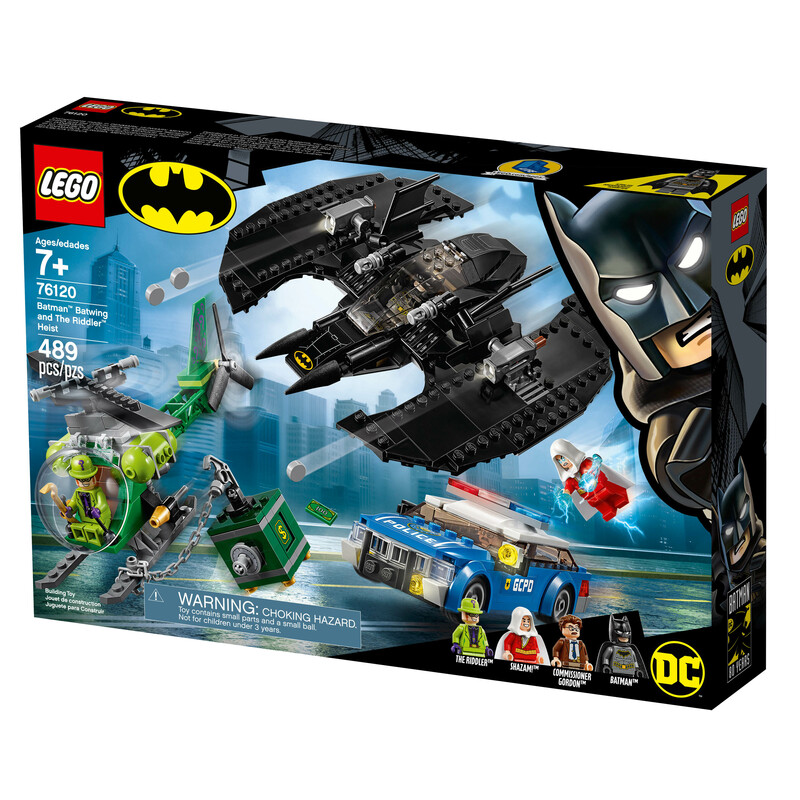 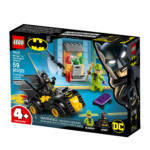 • This set features the LEGO® Batcave toy with Batcomputer zone, hi-tech zone, workout zone, weapons room, trophy room and detachable transformation tower and jail modules, plus a Bat-Tank™. 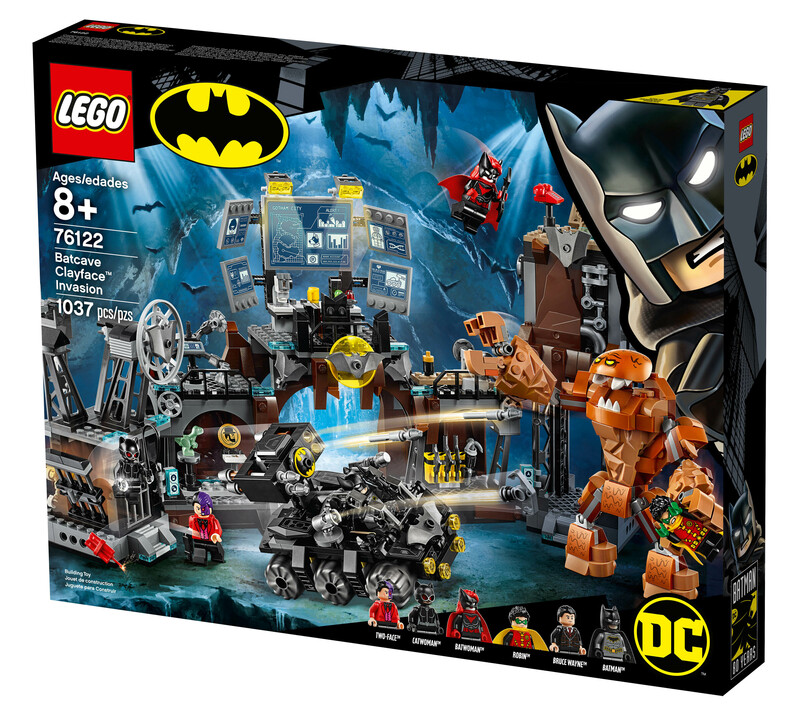 • Batman™, Bruce Wayne™, Robin™, Catwoman™ and Two-Face™ minifigures are new for June 2019. 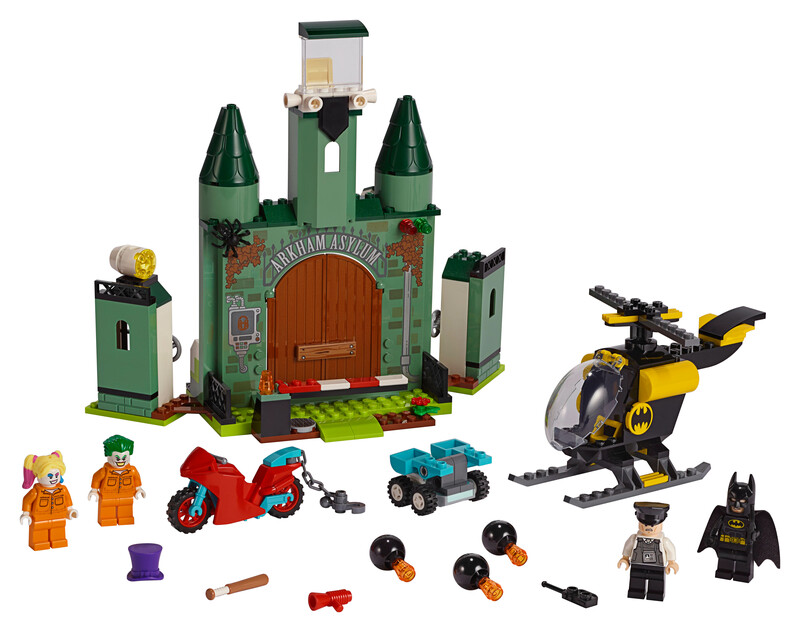 • This set includes over 1,037 pieces. 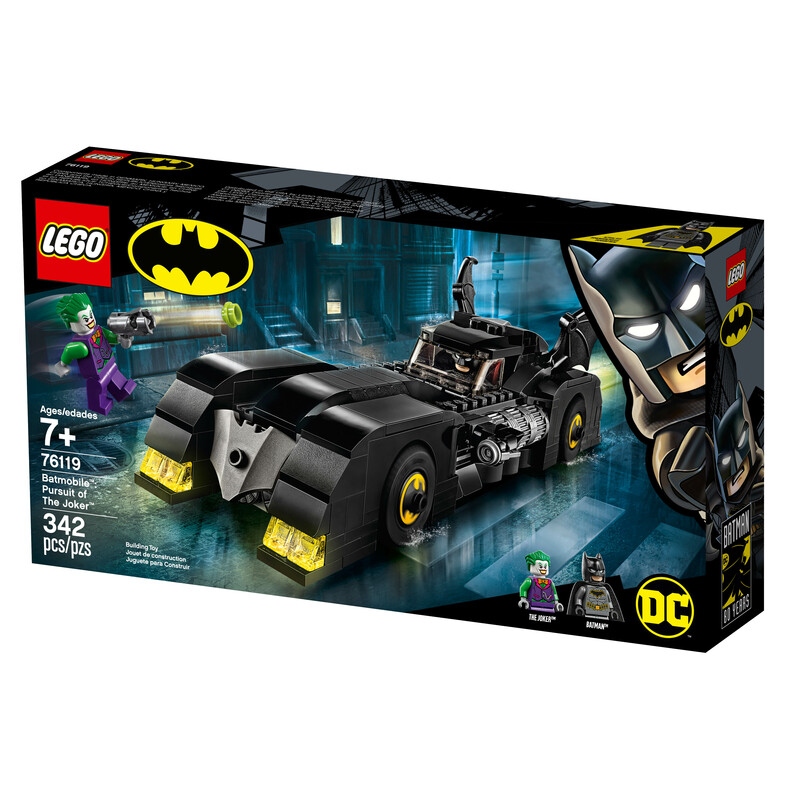 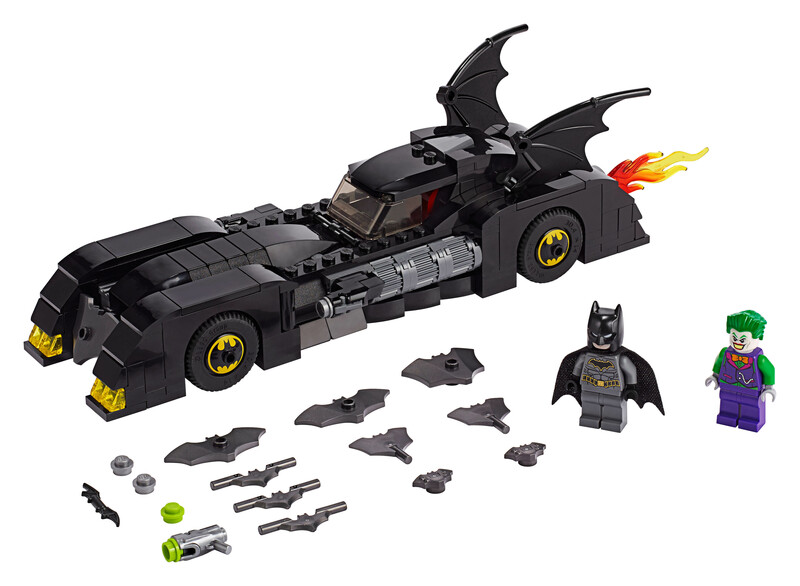 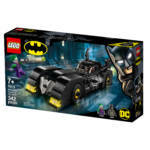 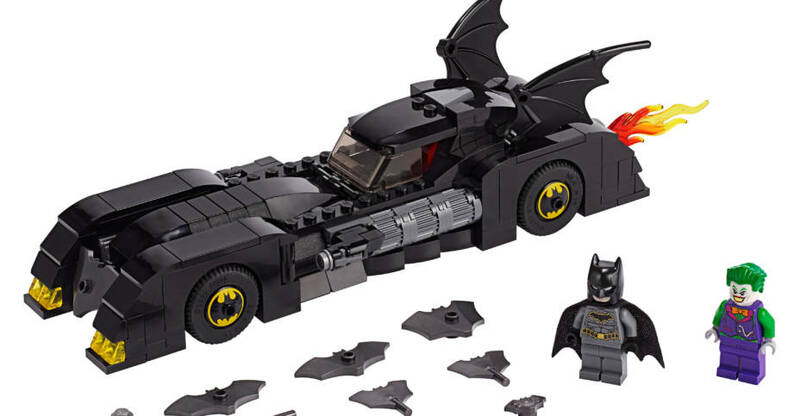 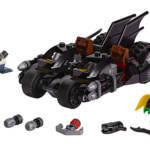 • The easy-to-build Batmobile™ toy car features a Starter Brick chassis, minifigure cockpit, 2 separate attachment points for Batman’s Batarang, 2 batwings and a flame exhaust element.